What is Advanced Excel Charts Tutorial? Excel charts are an efficient means to visualize the data to convey the results. Similarly to the chart types which are available in Excel, some application charts are popular and widely used. In this tutorial, you will learn about these advanced charts and how you can create them in Excel. This guide targets people who need to use graphs or charts in presentations and help people understand data quickly. Whether you want to make a assessment, show a relationship, or highlight a trend, these charts help your audience “see” what you are talking about. 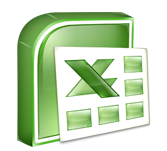 Among its many features, Microsoft Excel enables you to incorporate charts, providing a way to add visual appeal for your business reports. Before you proceed with this tutorial, we are assuming that you are already aware of the basics of Microsoft Excel charts. If you are not well privy to these concepts, then we can suggest you to go through our short tutorial on Excel charts.